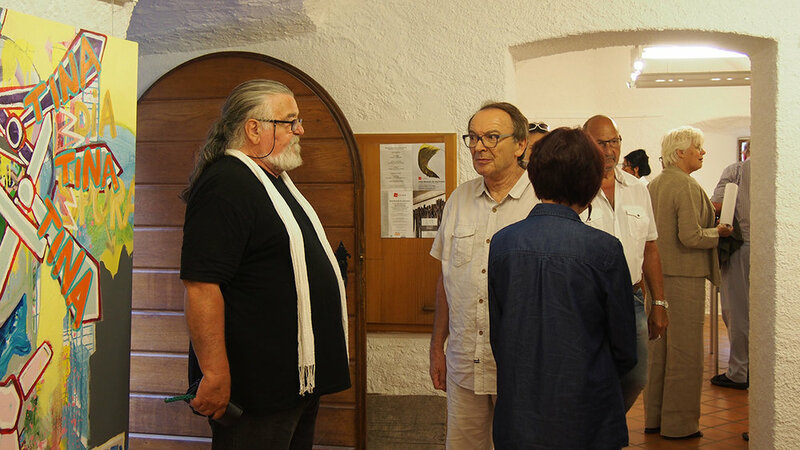 Last weekend, my exhibit opened in galerie le Caveau in beautiful Saint Ursanne. The gallery is a medieval cellar, half above ground, with thick walls and small windows -a godsent, with the heat of the past days- and my work 'works' quite well in these rooms, I find. I am pleased with how it all turned out. For as much as I can be pleased with my own work. Friends and family convened for the opening, bubbly was bubbling, words were spoken, art was watched. And yes, I love to see people watching my art intently. It nearly makes me shy. Nearly. 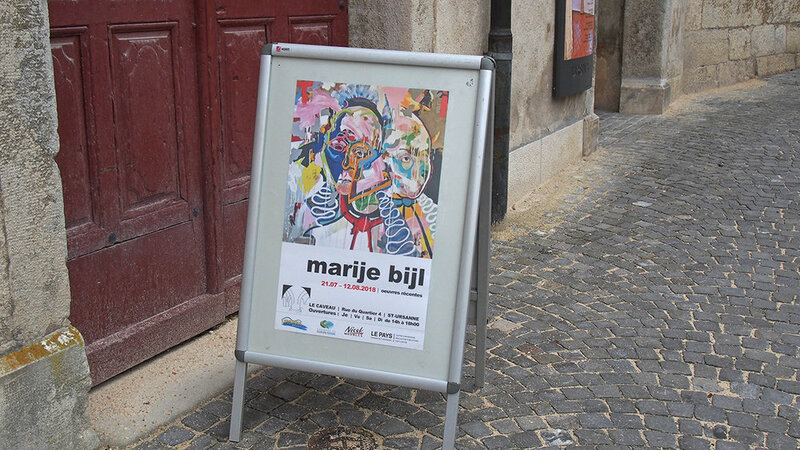 The exhibit is still open till the 12th of august -and there will be a finissage then- from thursday till sunday from 14;00 hours till 18:00 hours. So you can go to Saint Ursanne to see the cloister, the church, the medieaval town, my art, then take a dip in the river Doubs to cool off, and in the evening maybe still go see a performance from the "Piano à St Ursanne" event, which has many an interesting piece scheduled here.